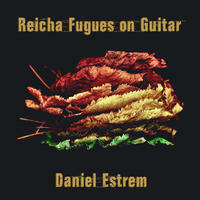 Daniel Estrem : Reicha Fugues on Guitar. Anton Reicha (1770-1836) was a Bohemian-born composer whose music covered a vast array of genres and forms, from opera and string quartets to piano etudes and fugues. He is perhaps best known today for his 25 wind quintets. As an accomplished music theorist he wrote several treatises on various aspects of composition. Some of his theoretical work dealt with experimental methods of composition. He was ahead of his time, advocating the ideas of polyrhythm, polytonality and microtonal music. Virtually none of these concepts were accepted or employed by his contemporaries. Reicha's 36 Fugues for Piano, published in 1803 was conceived as an illustration of his new system for composing fugues. Without delving into the theory of fugues, it can be said that Reicha's widening of the possibilities of fugal composition created a freer, more flexible musical form. Naturally some of his contemporaries didn't approve of his stretching the traditional boundaries, but today these pieces sound wonderfully musical. Much of Reicha's music remained unpublished and unperformed during his life and nearly all of it fell into obscurity following his death. This is explained in part by his own decisions, which he reflected on in his autobiography: "Many of my works have never been heard because of my aversion to seeking performances. I counted the time spent in such efforts as lost, and preferred to remain at my desk." Reicha's life and work has yet to be intensely studied to this day.